Camp Chippewa, 1962. Nelson Doughty, age thirteen, social outcast and overachiever, is the Bugler, sounding the reveille proudly each morning. Yet this particular summer marks the beginning of an uncertain and tenuous friendship with a popular boy named Jonathan. Over the years, Nelson, irrevocably scarred from the Vietnam War, becomes Scoutmaster of Camp Chippewa, while Jonathan marries, divorces, and turns his father’s business into a highly profitable company. And when something unthinkable happens at a camp get-together with Nelson as Scoutmaster and Jonathan’s teenage grandson and daughter-in-law as campers, the aftermath demonstrates the depths—and the limits—of Nelson’s selflessness and bravery. 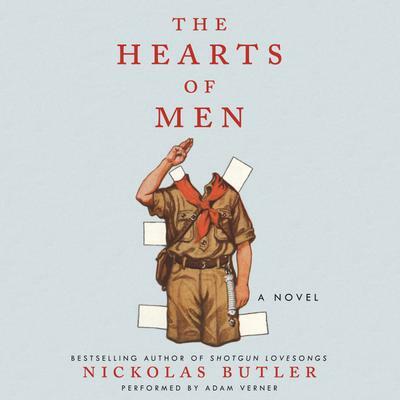 The Hearts of Men is a sweeping, panoramic novel about the slippery definitions of good and evil, family and fidelity, the challenges and rewards of lifelong friendships, the bounds of morality—and redemption.